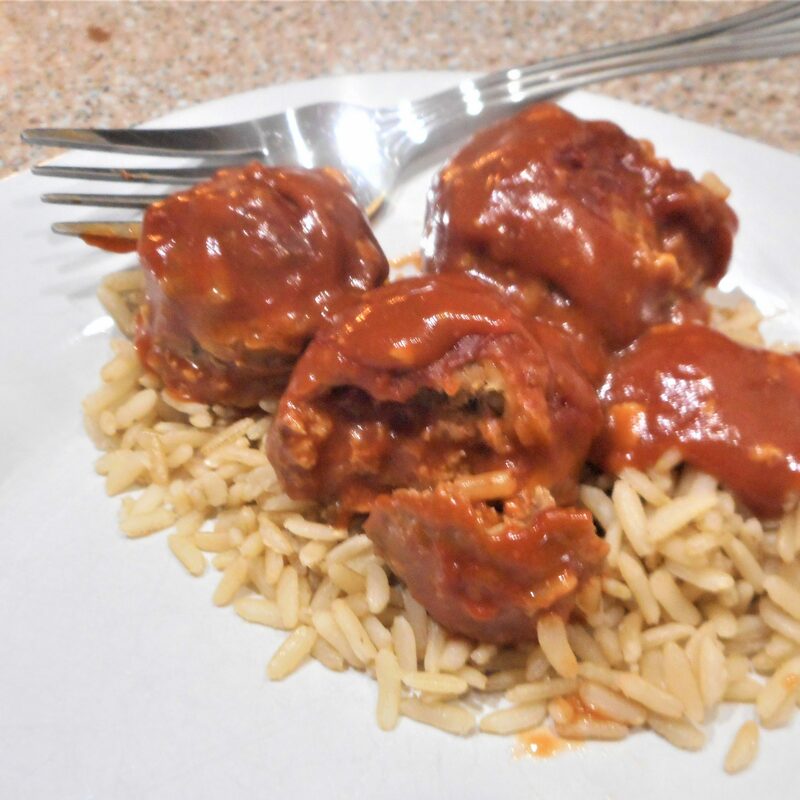 Be sure to use instant rice in your Zesty Porcupine Meatballs. Conventional raw rice will not cook and will stay hard. 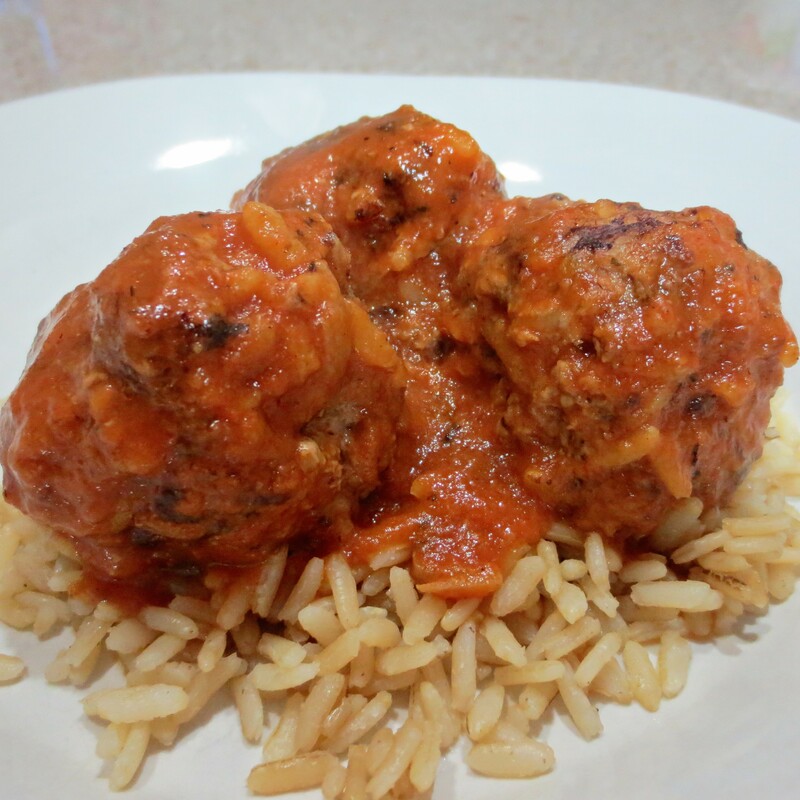 Serve the meatballs and sauce over more hot cooked rice. 1. Lightly beat egg with a fork, then add a heaping tablespoon of the soup and mix lightly. Mix in rice, onion, parsley, onion salt and pepper. Stir in the ground beef and mix well with hands. From mixture into 1 1/2 inch round meatballs. 2. In a large skillet over medium heat warm the canola oil. Cook the meatballs and brown on all sides. 3. Combine remaining soup with Worcestershire (you can increase or decrease Worcestershire to your liking), stir until smooth, then spoon over meatballs. 4. Cover with lid and simmer for 20 to 30 minutes, stirring every few minutes. OR Transfer to a preheated 350° oven and bake for 30 minutes, covered. Uncover, stir, and bake 10 minutes longer.